Home > FAQs > Global > Plans, Products, and Services > Refer-A-Friend > How many $50 Direct Energy Visa® Prepaid Cards can I receive? There are no limits – for every eligible referral that is successful, you get a $50 Direct Energy Visa® Prepaid Card. It's that simple. 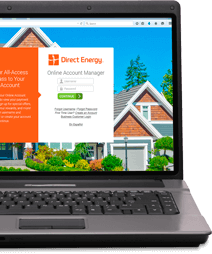 Just log into your Online Account Manager at Direct Energy and follow the easy instructions outlined on your personalized Refer-a-Friend page. . If you earn more than $550 total from Direct Energy, through referrals and/or other Direct Energy incentive programs within one calendar year, Direct Energy will issue you a W-9 form. You must complete and return the form before you are eligible to receive any additional rewards or incentives from Direct Energy during that year. At the end of the year, you will receive a 1099 for your tax records.